The other day, Rob and I did some Back To School grocery shopping, and it happened to be a date-night of sorts. We had already eaten dinner, and flashbacks of our Coos Bay days of taking a stroll down the fun-house halls of Walmart at 10 pm rushed in our minds as we stood in the Publix cookie aisle with two other couples. Hushed conversations evolved and we noticed the other couples, slowly and closely meandering, stopping and short-pointing with only a pinky, then whispering some more, were having the exact same musings as Rob and me. Then, super-stealthily that short-pointing pinky turned into a swift grabbing hand snatching that Back To School treat. One couple got always-recognizable-even-when-cleverly-stuffed-under-the-16oz.-bag-of-baby-kale Pepperidge Farms cookies, the other couple further down settled with an audible let’s-be-responsible sigh on a cookie/cracker thing, and Rob and I chose Fig Newtons. The original. Always a Back To School classic, at least in my lunch box. Seams harmless, right? Then, what’s with all the whispering and sideways glances? After further investigation of our late-night cookie aisle recon, this Back To School treat shopping was not for the kids. It was for the adults. Who knows what happened to the other couples, but Rob and I waited until we got home (there is some restraint), and I dove into the little squares of fruit and cake. 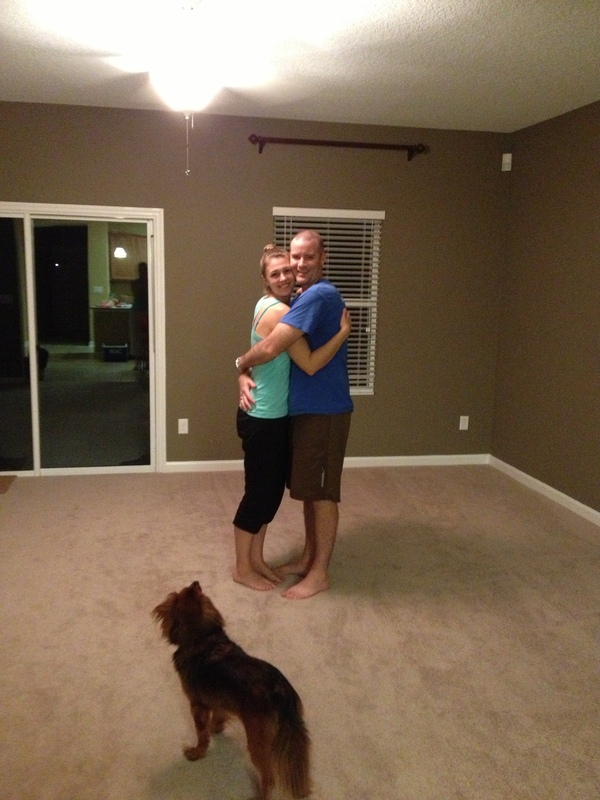 After a couple, the “fix” was over, and all was right and just in the world. Teaching Kindergarten can be a different kind of crazy at beginning of the year, and even in this hot, hot, hot Jacksonville heat, a craving for comfort food spikes at the end of the day. Rather than turning to the cookies, I’ve actually found myself becoming increasingly adventurous with salads. Yes, salads. 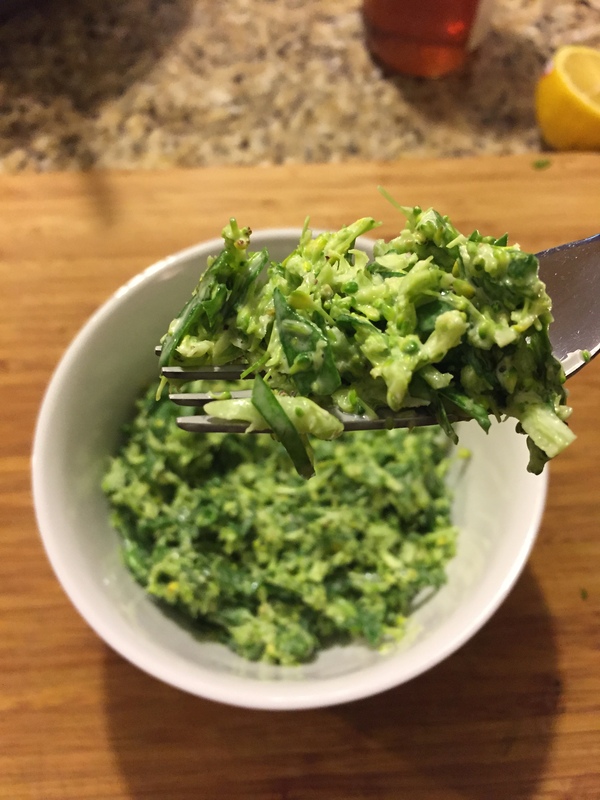 With the help of our farm basket, I have been experimenting with hot and cold salads, sweet and savory salads, grain and paleo salads, and many more. 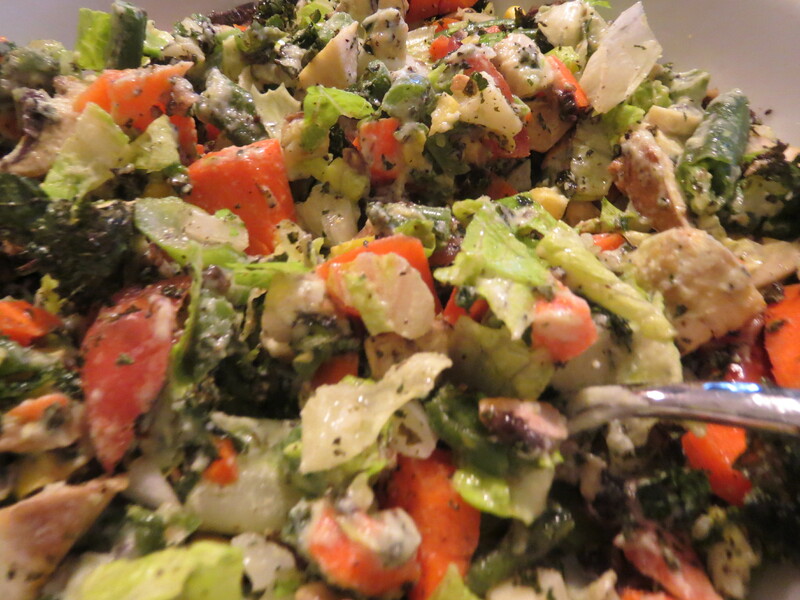 Come to realize it, more often than not, I have written about salads throughout the years. Well, hold on to your carrots, my friends, cause here comes another. The very best part of this salad happened to be the interesting dressing. To me, a big, full Chop Chop salad needs a hearty dressing. These days, however, cream and mayo-based dressings haven’t been making much of an appearance in our house due to the calories they add to the otherwise healthy dish. 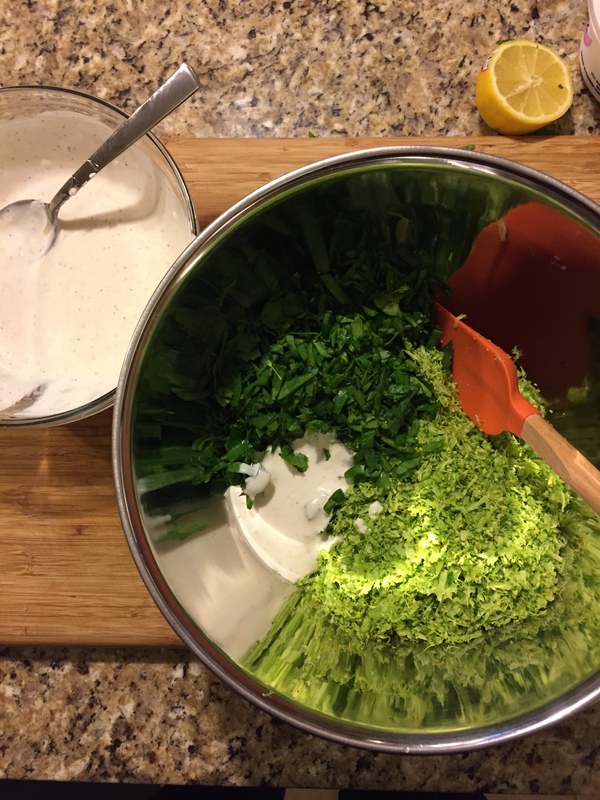 So to keep the creamy need, yet lose the bulk, I made a Cauliflower Dressing: ½ head of raw cauliflower, ¼ c extra virgin olive oil, ¼ c water, 1 tsp Dijon mustard, 2 tbsp agave nectar, 1 tbsp fresh dill. 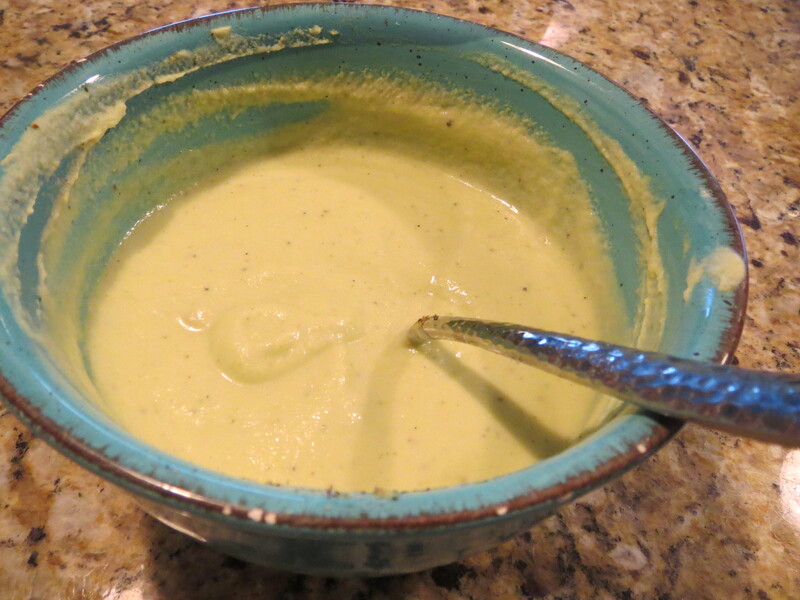 Throw it all into a blender with some s&p, whir until smooth and pourable, and taste for more seasoning. 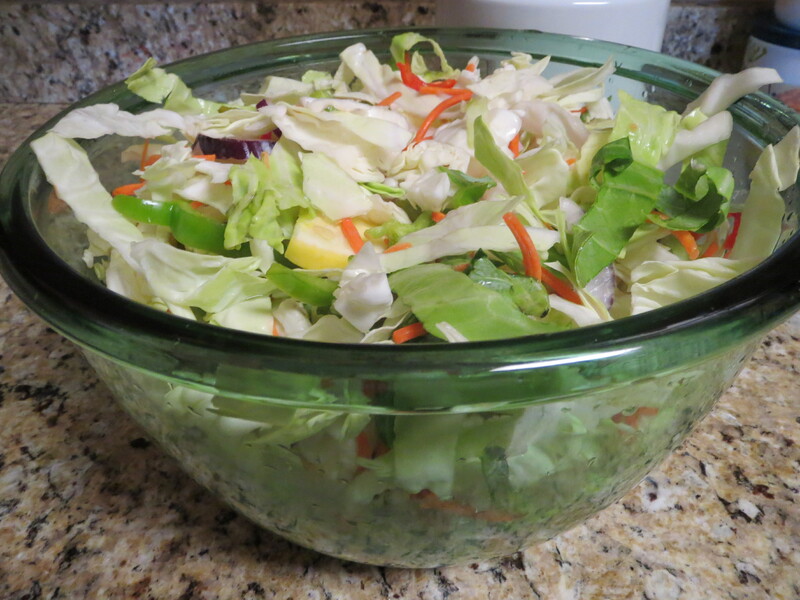 Pour a desired amount on your Chop Chop Salad, mix, and sit back and crunch away. 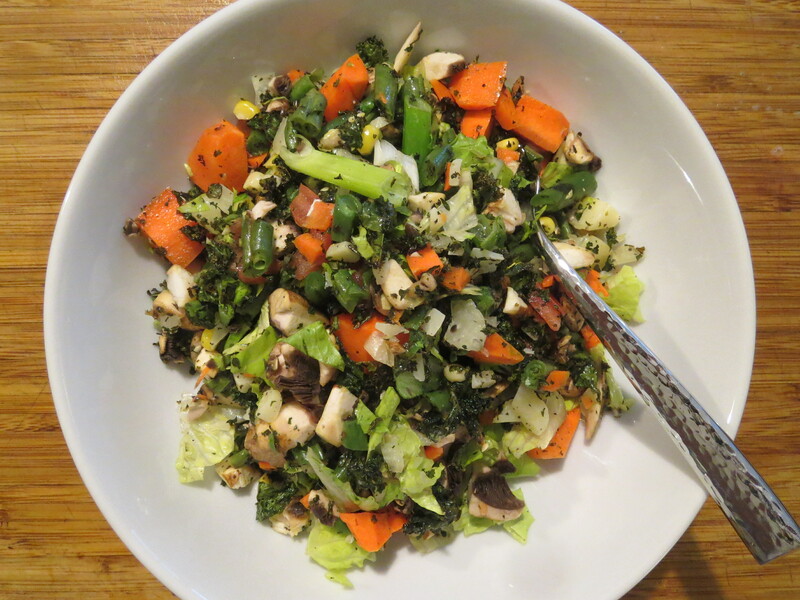 This salad made for a great lunch the next day at school, and I told my kids all about it. At 5-years old, they weren’t so interested in a bowl chalked full of veg. Although I did get many oohs and aahs when I said “corn.” I think even a couple of excited claps. It’s Back To School – a time for new beginning and taking risks. This salad isn’t risky at all, but try it anyway. It’s easy! It’s your own creation of tastiness! It’s healthy (which means you can dive into those cookies afterwards)! Well, we’ve made it. Our cross-country road trip taking 4 days and 3295.2 miles, reaching record-breaking temperatures across the desert (122 degrees – are you kidding me? ), hastily sneaking the pup into motels, and trying not to get killed by crazy San Antonio Friday night downtown drivers, has lead us to Landed Gentry. We’ve been in our new house now for just over a week, and have been unpacking piles of boxes taller than us, all the while trying to get used to the newfound heat and humidity (for all you skeptics out there, absolutely there is a difference between a “dry heat” and humidity). But, my pasty Oregon skin has started to get accustomed to that strange bright orange thing up in the sky, and Rob, Sig and I are quickly becoming accustomed to Southern life. First of all, the Farmers Markets are something unlike anything I’ve seen before – huge, sprawling, and you better know what you want to get cause these folks aren’t fooling around. I’ve never felt intimated at a Farmers Market before, but with new experiences come new things to try. So far, Rob and I have been indulging on true Georgia peaches, sweet corn, amazing tomatoes, and greens, greens, greens – my favorite thing. 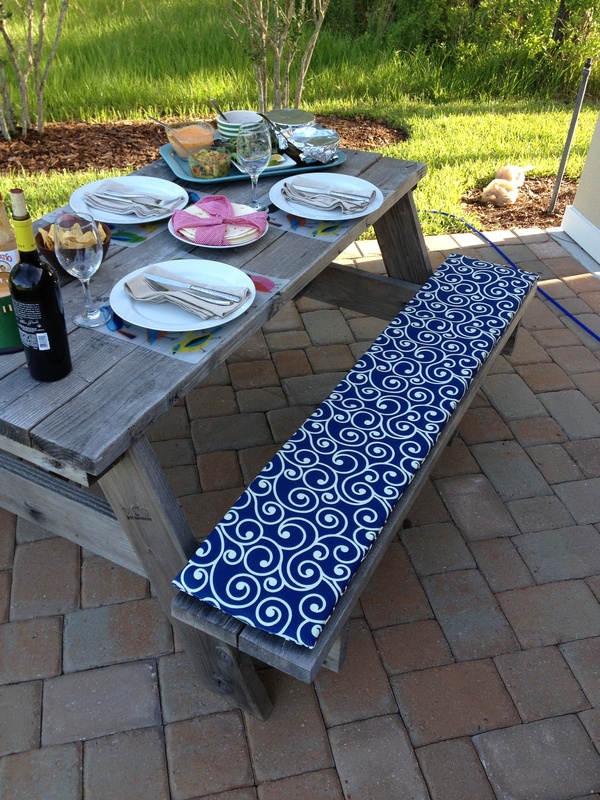 In between unpacking boxes, and learning how to sew picnic bench cushions (thanks, Mom! ), I have even been trying my hand at some Southern staples. After a short deliberation, a couple lip smacks, and a way-too-serious-for-tea expression, Rob announced I passed the Sweet Tea test. Of course I docked it up by making it Lemon Basil Sweet Tea, which, probably isn’t truly a Southern staple, but it was my take on the sweet refreshingness that is cold, black tea. At the Farmers Market, I saw a huge bag of what they called “stir fry,” which really was just a mix of already roughly chopped and shredded cabbage, carrots, onions, summer squash, and some collards. Standing there, gaping at the bounty bulging out of the simple plastic bag (honestly, drool could have been possible), the lady running the booth, whose skin revealed that the parking lot market was a spa compared to the mass amounts of Southern Georgia farming she has done in the humid sun for probably most of her life, almost threw the bag into my hands. I’ve learned quickly to do what I’m told. And am I ever glad that I did, as my car, shortly after, was filled with the “stir fry” freshness and potency. 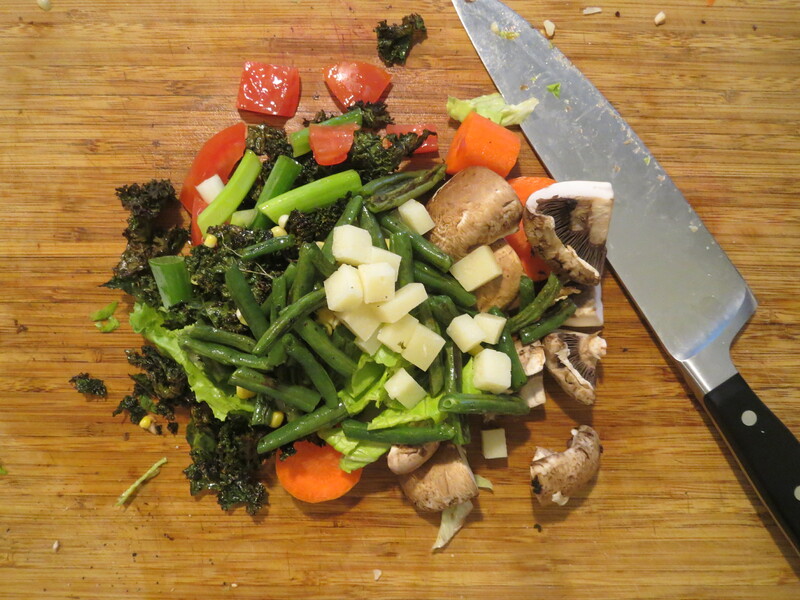 But my plans for this veg were not wok-ready. On a Saturday outing of exploring and a reprieve from unpacking, Rob, my mom, and I stumbled upon a cute little eatery in downtown Jacksonville called DIG Foods. It was all vegan, and so~o delicious. My mom and I split a sandwich made of a black bean spread and Chow Chow, a pickled Southern favorite. It gave me inspiration, and became the culinary destiny for my bag o’ veg. As my Scandi roots started bubbling to the surface, I created a pickling brine perfect for this veg to accompany any sandwich, salad, or topped on a perfectly fried chicken breast. The key is a 3:2:1 ratio of water:vinegar:sugar. It works every time, and the flavor combinations are endless. For this veg, I added a spice (a few chili peppers, as I was given about 20 for a dollar at the market), sliced garlic cloves, caraway seeds, thyme sprigs, and, of course some salt and peppercorns. 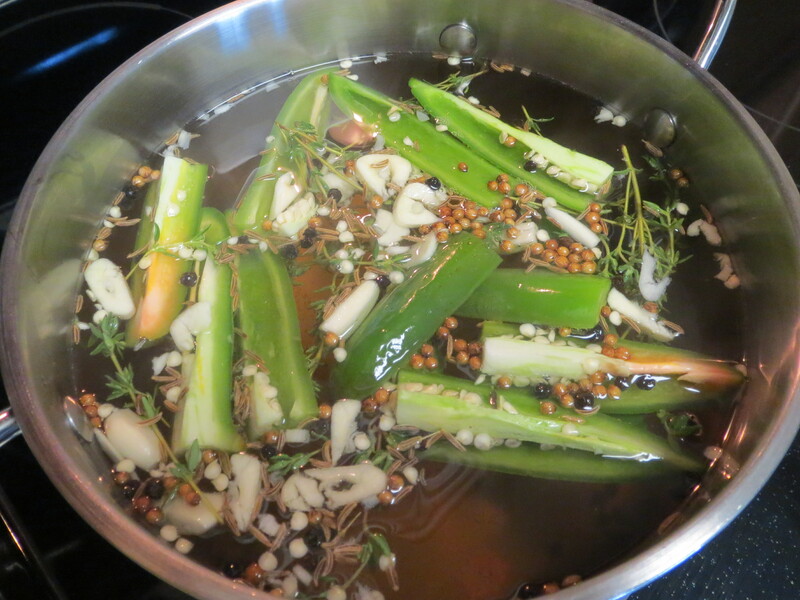 The best part about a pickling brine is you can make it any flavor you’d like to compliment the food being pickled. It’s the perfect avenue to be creative in the kitchen. After pouring the hot brine over the veg and letting it sit for about 10 minutes to give it a good, quick wilt factor, I ladled the veg into sterilized mason jars and put in the fridge to seal. The next day, Rob turned his plain bologna sandwich (which, I think is fabulous in its own right), into something pickly and spectacular. He even got comments on his lunch at work. He took the sandwich again the next day, but wasn’t too mindful of the chilis, thus scalding his tender Irish mouth for the rest of the day. Today, he didn’t take a lunch. Oh well. 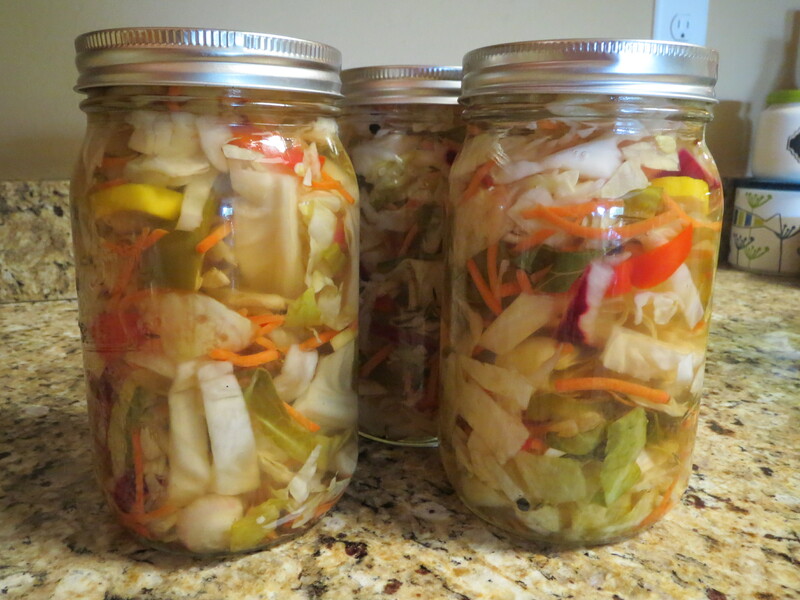 The recipe for the pickled veg is one to be adapted to your liking, just make sure you use the 3:2:1 ratio for enough brine to completely cover whatever veg you are using. Use a lighter, brighter vinegar (I like unsweetened rice wine, apple cider, or white balsamic), and play with the flavorings. Ginger, horseradish, dill, bay, rosemary, mint, pink peppercorns, you name it. Then make it your own! Enjoy!